Our second big adventure led us to the "top of Texas!" 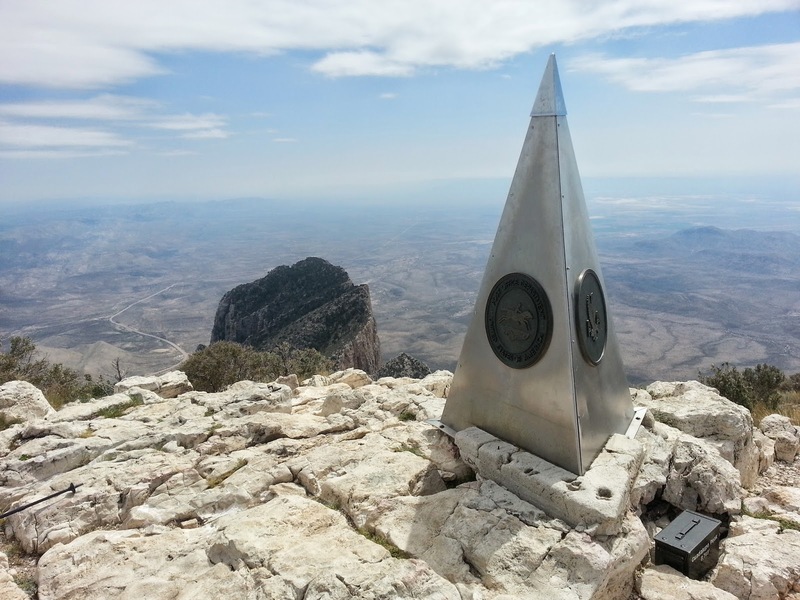 Guadalupe Peak is the highest natural point in Texas and is part of the Guadalupe Mountains range in southeastern New Mexico and West Texas. No one was sure that these two old farts would make the eight hour, steeply elevated hike to the top of Texas and back....but we did and lived to prove it! We shared the trail with a few interesting creatures! View from bottom of the trail. This is El Capitan. You can't see Guadalupe Peak because it is farther away and behind El Capitan. The scariest part of the trail was crossing this old bridge which connects a split in the rock formation. Top of Texas! A four hour hike was worth seeing this view! We left our names in the log book located in the box below the monument.